Yesterday I took my last trip off FOB Fenty for the duration of my stay to FOB Joyce. 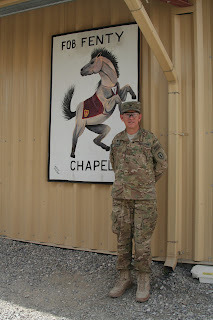 The main purpose of this visit was to interview SSgt Rick Sommers from Cleveland Ohio. 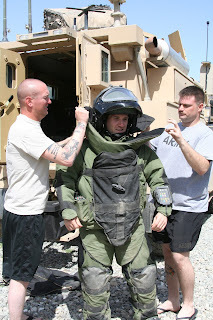 He is part of the EOD team of three that serves the 212 Brigade. Here is SSgt Sommers in front of the JERRV 4X4. It's 23,000 tons with a B12 engine and can go up to 50 miles per hour. The compartment is holding one of three robots they use to diffuse IED's. These guys are the epitome of brave. 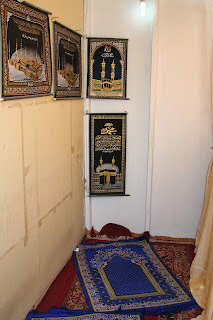 Besides diffusing the IED's and bombs they usually take fire. 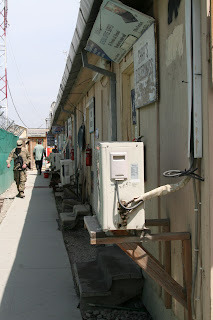 When SSgt Sommers is getting into his special suit complete with internal fan, they surround him with the vehicles because usually Taliban are waiting for them. It's not like they can sneak up quietly. 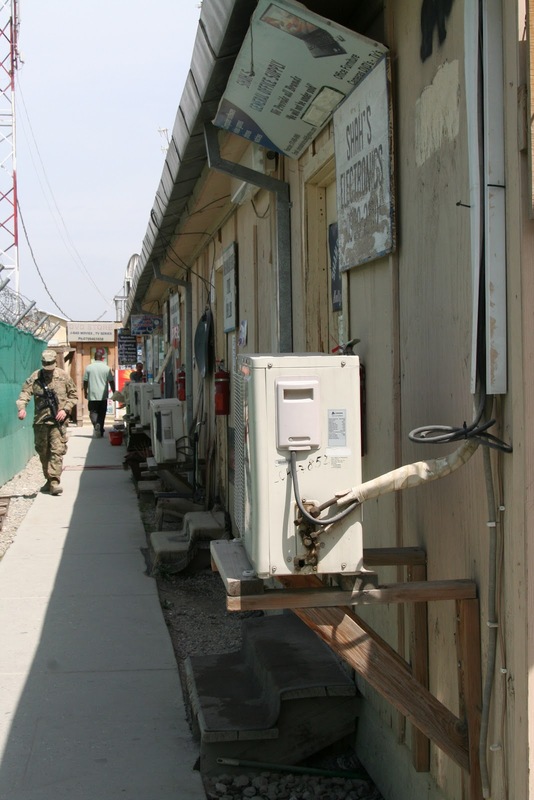 They all love their job, but sometimes the surreality of what they do in the middle of Afghanistan surprises them. Especially when they are taking fire, while detonating an IED as Afghan farmers head home with their crops tied to their back, like it's just an ordinary day in Afghanistan. They had been working 48 hours straight when I met them. The mail service here at FOB Fenty is great! It only takes about 1 week to get things in from the States. Unfortunately, it takes about 3 weeks for the mail from here to reach the states, but I think that's pretty fantastic because you get to write FREE where you put a stamp. The postmaster, SPL Timothy Duncan a self proclaimed Navy Brat hails from Alameda, CA. This is his 2nd deployment. 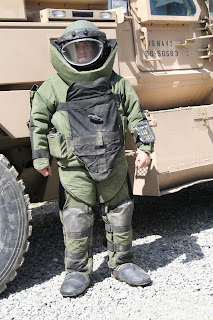 His first was in Iraq. She's Col Kim's OIC (Office In Charge) of the Joint Visitors Bureau. Here's a photo of Capt Katie Kopp, from Dubuque, Iowa, with Maj Hank Lopez, who is a therapy dog. Yes the dog is a Major and outranks his handler. 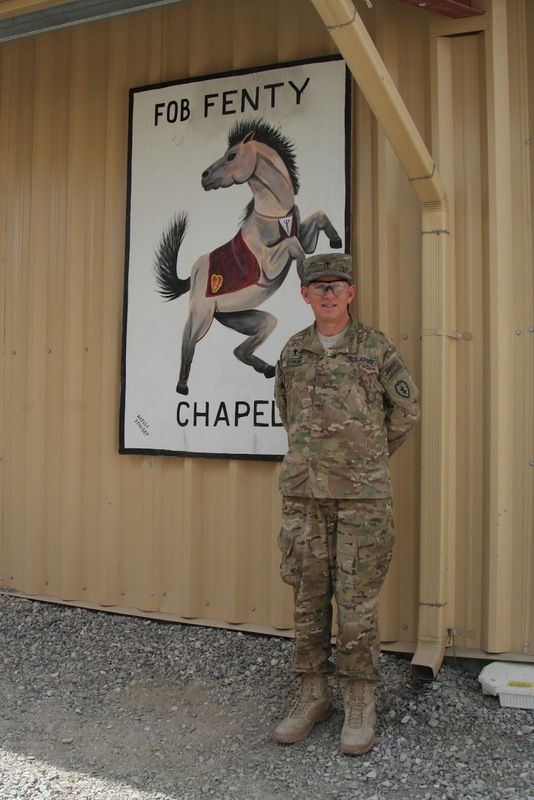 Capt Kopp has deployed twice. SPL Beth Raney is taking their photo and works in the PAO (Public Affairs Office. This is her 2nd deployment. Here is Chaplin Mark Perkins of Medina, TN. 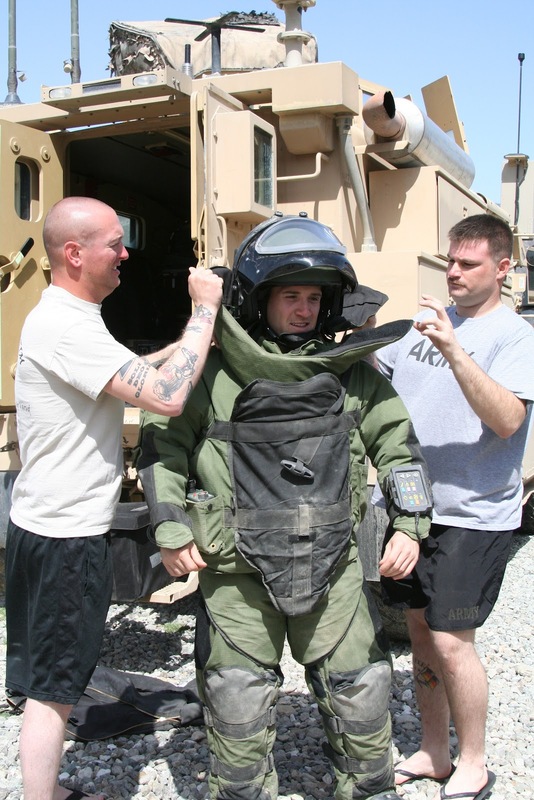 This is his first deployment to Afghanistan, but he's also deployed to: Iraq, Korea and Honduras. 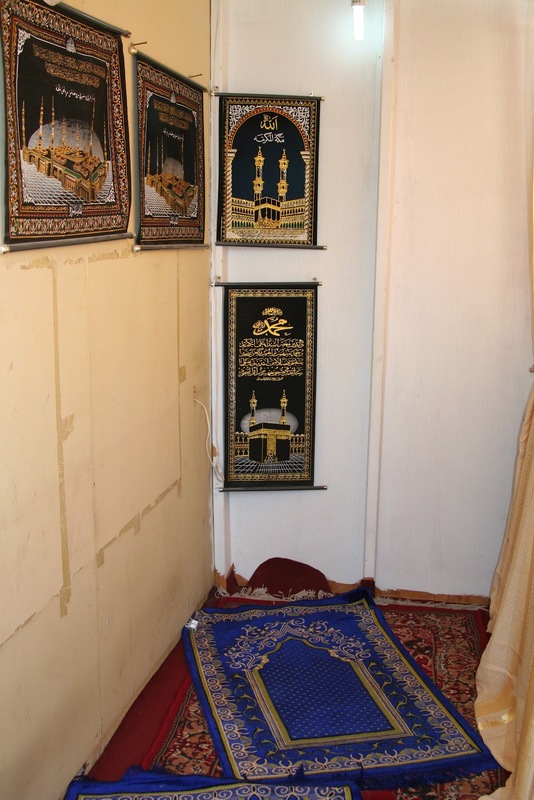 There is also a mosque for all the muslims who own the Haji shops that sell the local goods.